Measures 25" L. x 14" D. x 35" H.
Now toddler's have a dress up station just for them! 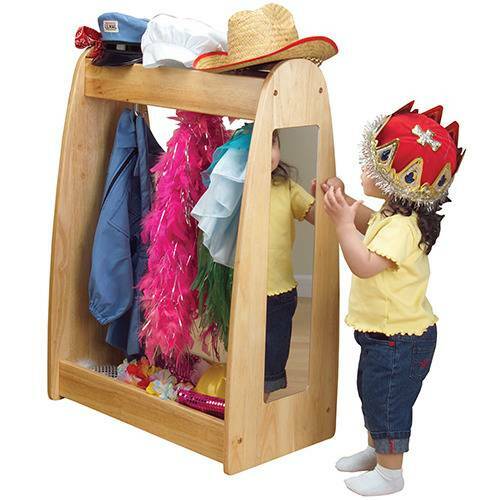 Sized for easy reach, this unit features a top and bottom storage shelf, 3 double clothing hooks and a permanently attached mirror at one end. Crafted from select hardwood.